In Caribbean Stud Poker the player’s poker hand is compared with that of the dealer. 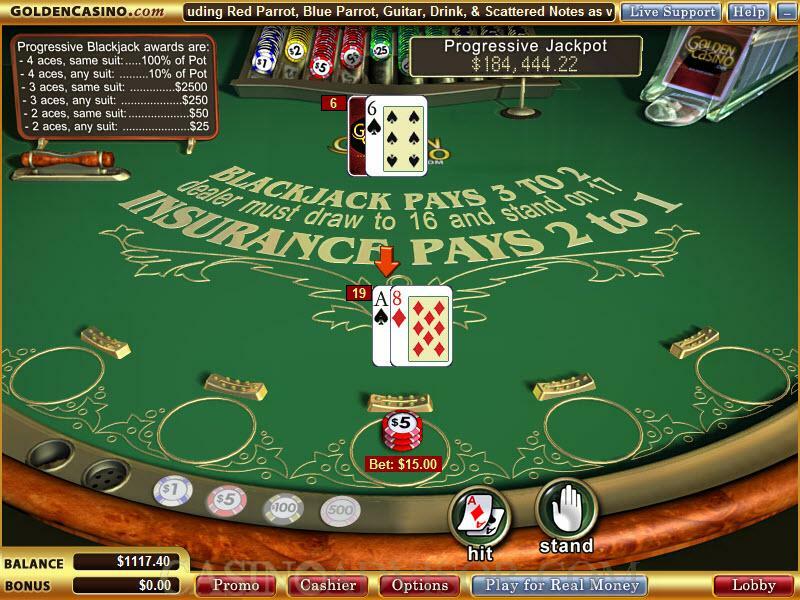 The screen shows a casino table with the online features built in. The player’s balance is shown at the bottom left corner and just above that are the chip denominations to choose from. The range for the ante bet is from 1 to 200. The Vegas Technology Caribbean Stud Poker allows players to play five games at a time. The locations for the antes and the bets are marked on the table. The wagers for the progressive game are to be made on the gold slots. The progressive jackpot ticker is shown on the top right. The buttons for the player’s moves appear at the bottom right of the screen. Only the buttons relevant for that point in the game are visible. The player places the ante bet by clicking the chip(s) of the appropriate denomination and then clicking the ante area(s). The player can also place the1 unit progressive bet if he wants to. Bets can be withdrawn one chip at a time by right clicking on the chips wagered. Using the Clear button all chips can be cleared. By clicking the Deal button the player is dealt five cards face up and the dealer is dealt five cards of which only one is face up. The player’s hand mentions the rank and the payout should the hand win. The player can Fold and lose his ante wager. Or the player can Call and add a bet twice the amount of the ante bet. The dealer’s full hand is revealed with the rank mentioned. The payouts made as per the rules and the payout table. If the player wants to continue with the same ante bet then he should click the Rebet button. The cards from the previous deal are removed and the fresh ante bet is placed. If the previous bet included a progressive bet then that is also repeated. If the player wants to change his wager then he should click on the Clear button and start afresh. The background sound is a peppy music tune. The game sounds are the sounds of the cards being dealt and the dealer’s announcement of the player’s decision. If the animations are enabled then the cards are dealt from a shoe. Otherwise they just appear on the table. The volume of the sounds and the speed of the animations can be adjusted. In multi hand games each hand is dealt one card in turn. 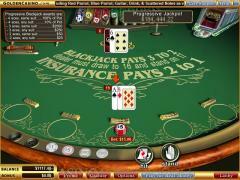 Then the player plays each of the hands starting from right to left before the dealer hand is played. Interested in reading more detailed information about Vegas Technology Caribbean Stud? If so Click Here for more details.